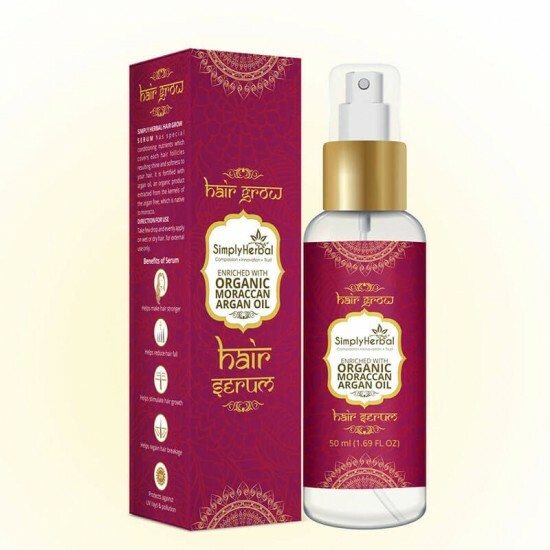 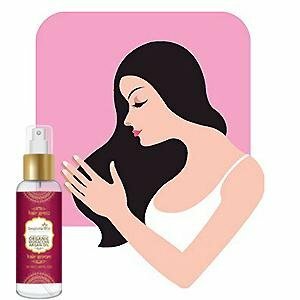 Simply Herbal Morrocan Argan Total Repair Instant Smoothing Hair Serum for Frizzy Hair to Dry Hair Enriched With Jojoba and Almond 50ml for Silky Hair. 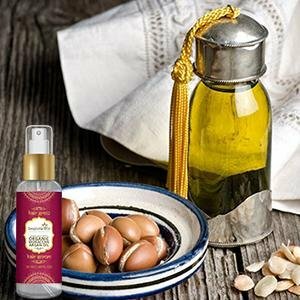 Argan Oil Is a Plant Oil Produced From the Kernels of the Argan Tree That Is Endemic to Morocco. 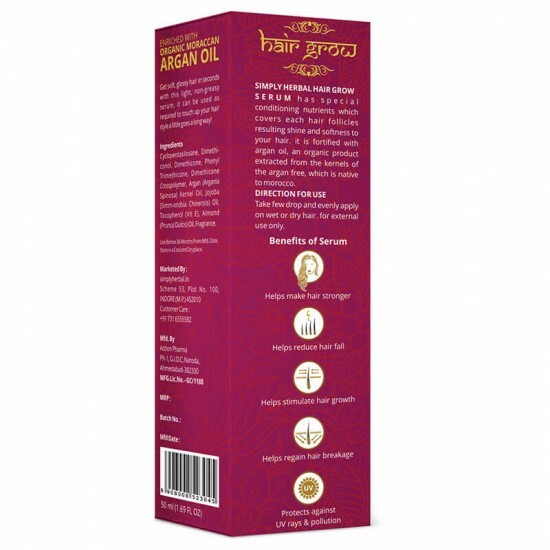 Moroccans Argan Oil Has Become Increasingly Popular for Cosmetic Use. 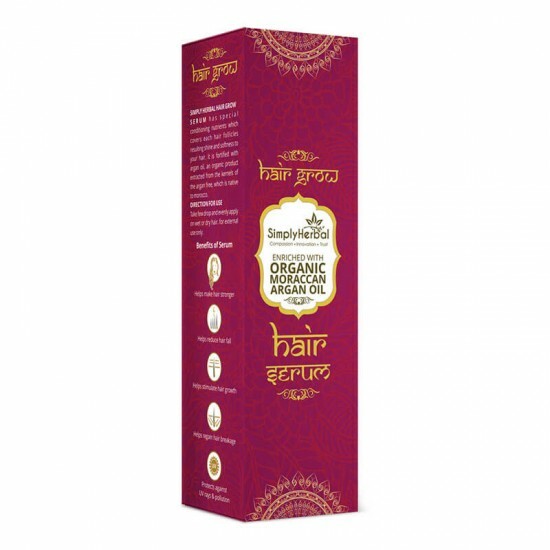 Argan Oil Without Additives Is Used as a Natural Skincare and Hair Care Product. 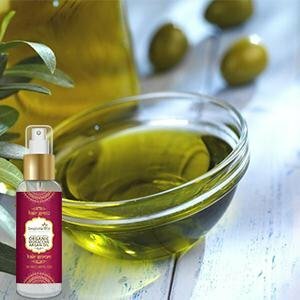 Jojoba Oil Is Found as an Additive in Many Cosmetic Products the Pure Oil Itself May Also Be Used on Skin, Hair, or Cuticles. 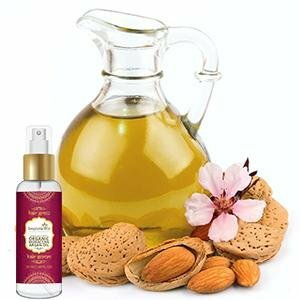 Almond Oils' Moisturizing Traits Make It the Best Sealant Oil for Your Hair. 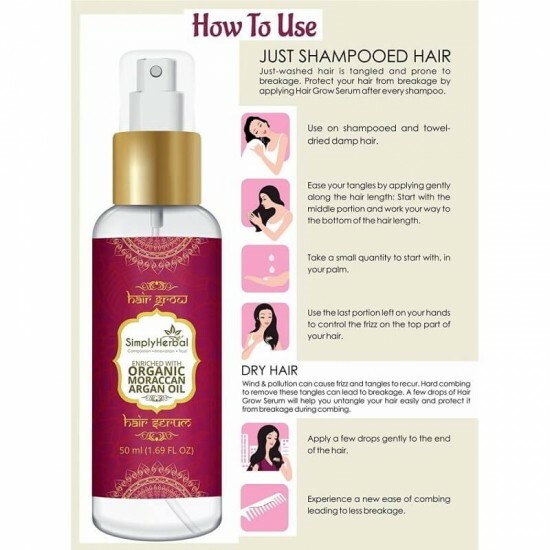 It Gives Your Hair the Extra Nourishment It Needs Plus It Also Enhances Its Look and Texture.